For over 25 years, Susan G. Komen for the Cure has been the global leader of the breast cancer movement, having invested more than $1.9 billion since inception. Through the generosity and donations of individuals and companies across the country and throughout the world, Komen for the Cure has been able to continue its fight against breast cancer and towards finding a cure. This year, Pretzel Crisps, the low fat, low calorie flat-baked pretzel cracker, is proud to join the fight and help donate to the cause. For every specially marked 14 ounce Pretzel Crisps bag sold from August through October 2011, Snack Factory will donate a portion of the proceeds, with a minimum of $100,000, to Komen. 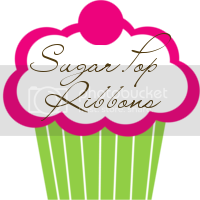 If you have been following my blog, you know that I am a support of Susan G. Komen for the Cure. We are a family that has been deeply impacted by breast cancer. My husband's aunt is a breast cancer survivor, but my mother passed away from breast cancer when I was in college. Some of my biggest regrets are not being able to have her at my wedding and that my children never got to meet her. I think that this organization is amazingly and I firmly believe in this worthy cause. As such, I hope all of you will consider picking up a bag or two of the specially marked 14 ounce Pretzel Crisps bag the next time you go to the supermarket. If you haven't tried Pretzel Crisps before, then I recommend picking up a bag of it. They are delicious and once we took our first bites we were completely hooked. By buying the specially marked 14 ounce Pretzel Crisps bag, not only that you will get to enjoy this tasty treat, you will also be supporting an important cause. Please help Pretzel Crisps donate to the cause. I have posted this information also in hopes of becoming a Pretzel Crisps brand ambassador. 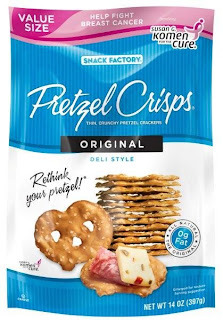 Please leave a comment to tell me what you think of Pretzel Crisps and/or their pledge to donate minimum of $100,000, to Susan G. Komen for the Cure. 1). 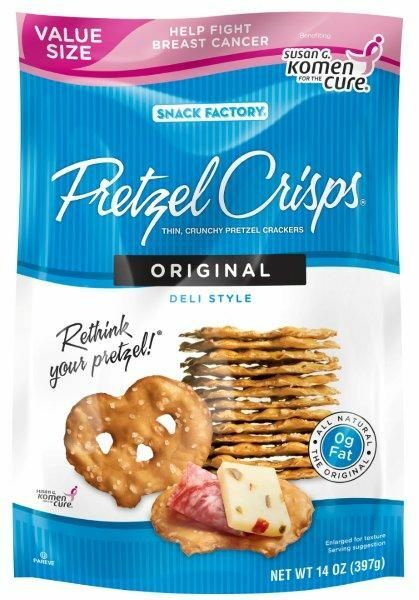 Please leave a comment to tell me what you think of Pretzel Crisps and/or their pledge to donate minimum of $100,000, to Susan G. Komen for the Cure. 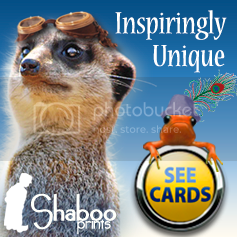 (you MUST be a public follower of my blog to enter this giveaway, and your profile can not be set at private). 2.) Blog about my giveaway- with a link back to here, when you leave the comment make sure you include the URL of where your post of my giveaway is. Please do not copy and paste my review over to your blog, please write about why you would like to win this giveaway and provide a link back to this post. The Contest ends Sep 10th, 2011 at 11:59pm PST. 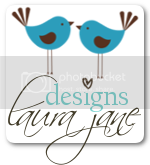 Blogging about my giveaway earns 5 additional entries. 7.) Tweet about this review and giveaway. 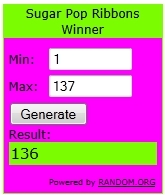 Please tweet the following: " I entered to #win #free @PretzelCrisps #Giveaway @sugarpopribbons http://tinyurl.com/SPRRG ". After your tweet, please leave me the url of your tweet so I can check. If you do not know how to check your tweet url, please read this post for step by step instructions. You can retweet once every hour. I appreciate you posting about this. I am also impacted by the breast cancer. My Mom is currently battling her SECOND breast cancer fight. I will continue my support with the products that supports Komen's research. I only wish that the companies that say that they'll give $$$ when we buy their products, would "just" give it. I follow you on GFC as AnneL and I love that they are donating money to a good cause. I think it's fantastic that Pretzel Crisps pledges to donate $100,000 to Susan G. Komen. I'm a breast cancer survivor, and lost a sister to b.c., so I fully support their efforts. Thanks! I have your Bringing Home Baby button on my right sidebar. I entered the giveaway for Roman Meal. 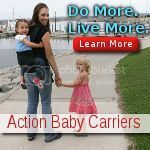 I entered the giveaway for the Combi Activity Walker. I entered the giveaway for the Huggies Little movers. I entered the giveaway for Chef's Planet. Pretzel Crisps taste terrific and I think it is wonderful and very generous of them to make such a donation. I think that their pledge to donate minimum of $100,000, to Susan G. Komen for the Cure is wonderful! I think a lot more companies should pledge money to this cause! My mom is a breast cancer survivor and this is totally awesome that they donate to the Susan G. Komen for the Cure. I haven't tried Pretzel Crisps yet, but they look good. I think it's great that they're donating money to a worth cause that affects us all. I follow via GFC. I think their pledge to donate minimum of $100,000, to Susan G. Komen for the Cure is wonderful! More companies should pledge money to causes such as this. I love that they are donating money to a good cause. And I'm a GFC follower! I've never tried Pretzel Crisps but they sound like something I would really like! I guess I'll have to pick some up next grocery trip. I think it is wonderful that they have pledged to donate minimum of $100,000, to Susan G. Komen for the Cure. I follow you publicly on GFC. I think it ROCKS they are giving money to fight breast cancer! I really like to see companies give back to good causes. It shows that they are willing to share the wealth. I follow you on Google Friend Connect under the username lilyk. I think Pretzel Crisps are very tasty! My mom battled cancer twice (and survived) so I think Pretzel Crisps' pledge to donate is wonderful. Any company that support Breast Cancer Research and Susan G Komen is a fantastic company that deserves to have their products tried! This is an amazingly generous donation the company is making. I think it's great that pretzel crisps have made this pledge, it's hard to find someone who's life has not been touched by breast cancer. My mother is a breast cancer survivor. Great cause to support.